Lavrov did not rule out it may be "a meeting for the sake of meeting." 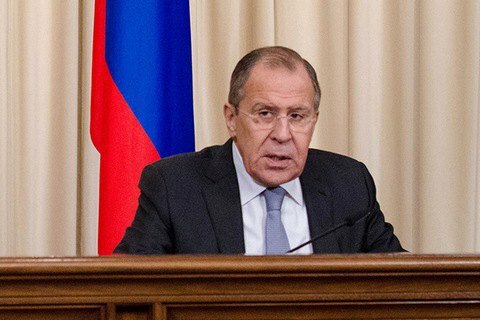 Russian Foreign Minister Sergey Lavrov has accepted an offer to take part in a meeting of foreign ministers of the Normandy Four (Germany, France, Ukraine and Russia) on a Donbas conflict settlement in Minsk. "Quite a serious risk remains that all this can be just another meeting for the sake of meeting. However, if my other colleagues from the Normandy format are ready to take the risk, we'll have this meeting on 29 November," Lavrov said in Moscow on 24 November. "We all attended the 19 October meeting of the [Normandy] leaders and remember what have been agreed upon then. It would probably make sense to look into each other's eyes and recall the agreements," the minister said as quoted by his press service. In October, the Normandy Four leaders instructed their foreign ministers to work out a roadmap for the implementation of the Minsk agreements. · the release of all Ukrainian hostages.